A T-Mobile employee is behind bars after allegedly e-mailing himself a sexually explicit video that he found on the phone of a female customer, cops say. According to police, the victim brought her phone to a T-Mobile store in Pinellas Park, Florida so a worker could “reboot and reactivate the service on the phone.” The employee who handled the woman’s phone Friday afternoon was Roberto Sanchez Ramos, investigators report. The victim subsequently “noticed her email had been accessed and her sexually explicit video was sent to” an e-mail account that cops allege is Sanchez Ramos’s. 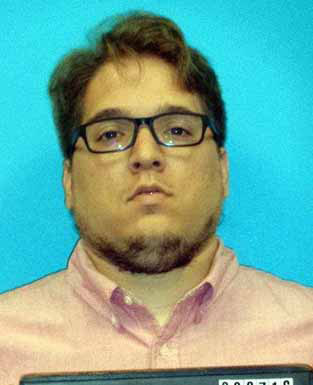 Seen above, Sanchez Ramos was arrested on a felony offenses against users of electronic devices charge. He is being held in lieu of $10,000 on that count. Sanchez Ramos, 25, also faces a probation violation charge related to a prior T-Mobile-related felony conviction. Sanchez Ramos pleaded guilty last year to a scheme to defraud charge related to attempts to artificially inflate his sales commission figures. Sanchez Ramos was sentenced to 18 months probation and ordered to reimburse T-Mobile $200. Sanchez Ramos’s rap sheet also includes a 2013 grand theft case that was dismissed after he was placed in a pretrial intervention program for first-time offenders.